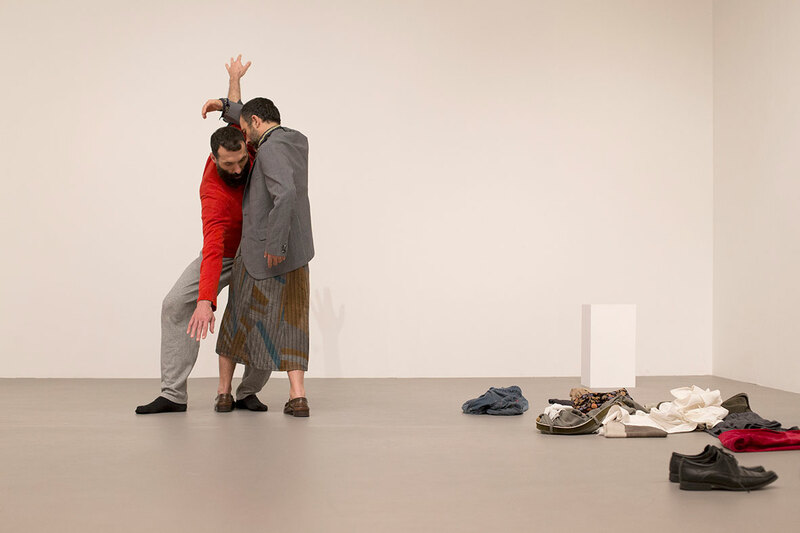 Taking movement as their tool, Yannis Adoniou and Stavros Apostolatos flirt with the idea of disappearance. 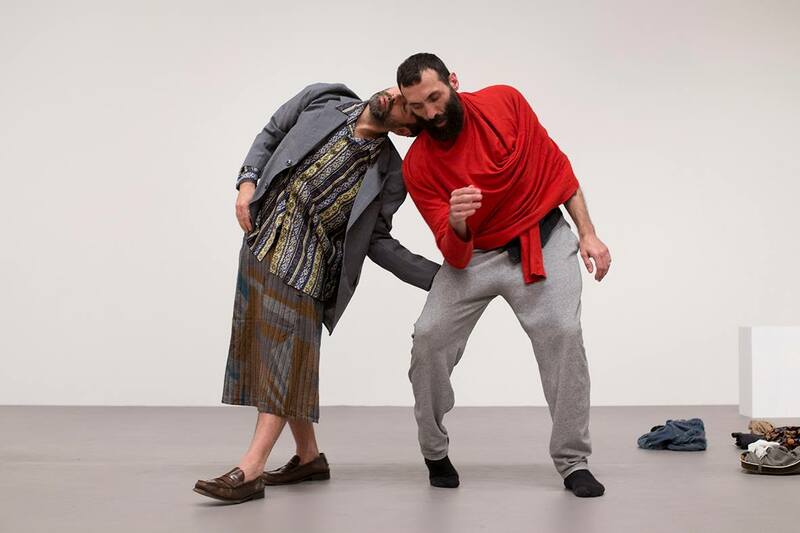 The two performers seek to dissolve their forms - taking as their mainsprings walking, standing and immobility, leaps, collapses and micro-movements - to the point where they disappear completely from view. As their forms retreat, various everyday objects remain in the space to remind us of their prior existence. 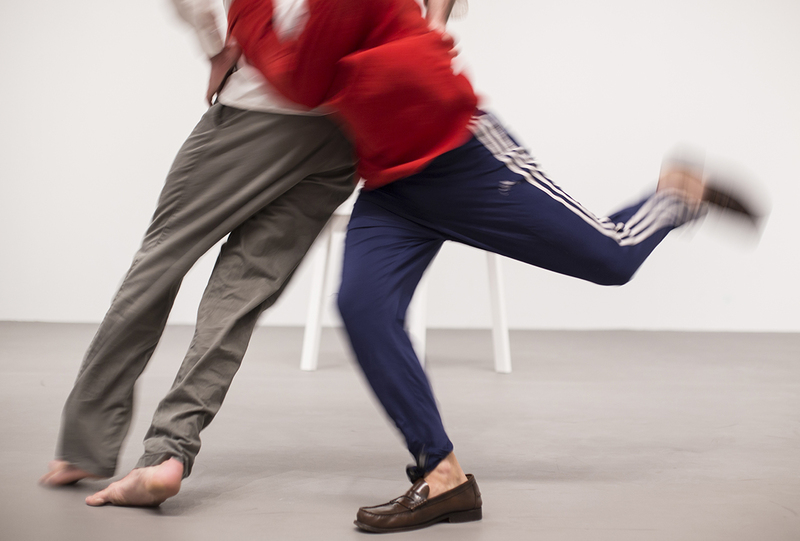 While they never touch, the two bodies remain connected, in visual contact, mutually dependent, and seeking -over the course of eight hours - their own private reality beyond the abilities of the body. The work is not rehearsed; the movements are created each time out of nothing, instinctually, in the split second of each moment. Stavros Apostolatos began his career in dance in Chania, Crete in 1991. He is an alumnus of the Greek Ministry of Culture's Professional Dance Section. Over the last 20 years, he has attended several courses and seminars on classical dance, modern and contemporary techniques, release techniques, contact improvisation, improvisation and Butoh, with teachers from Greece, Europe and America such as: the KER Dance Studio with Efi Kaloutsi - Greece, Jerome Andrews - France, Jean Francois Lefort - France, Jean Yiasko - the Netherlands, Court Coegel - Germany, William Forsythe Dance Cie - Frankfurt Opera Studio, Riccardo Morrison - America, BennoVoorham - the Netherlands, Pina Bausch Dance Cie - Germany, Tanzfabrik Dance Cie - Germany, Wendy Peron - America, and Masaki Iwana - Japan, to name a few. Since 2000, he has collaborated with dance groups in Greece and abroad as a freelance dancer. As a choreographer, he has been developing his ideas for pieces since 1999. 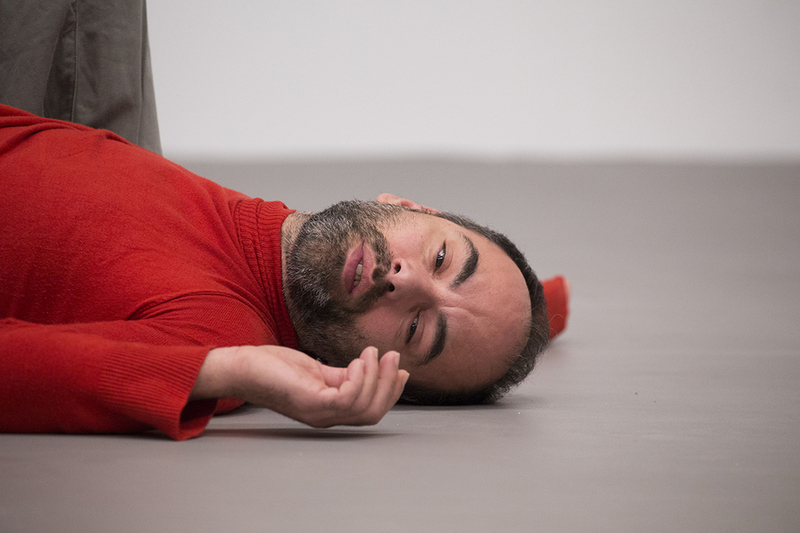 He has taught contemporary dance techniques and improvisation at several professional dance and drama schools in Athens and Germany since 2007.